Man, if I only I had the skills and guts to make my computer look like that. I would do it, but i’m scared of messing up my comp. Okay, I know this looks beautiful and everything, but I don’t think it is functional. 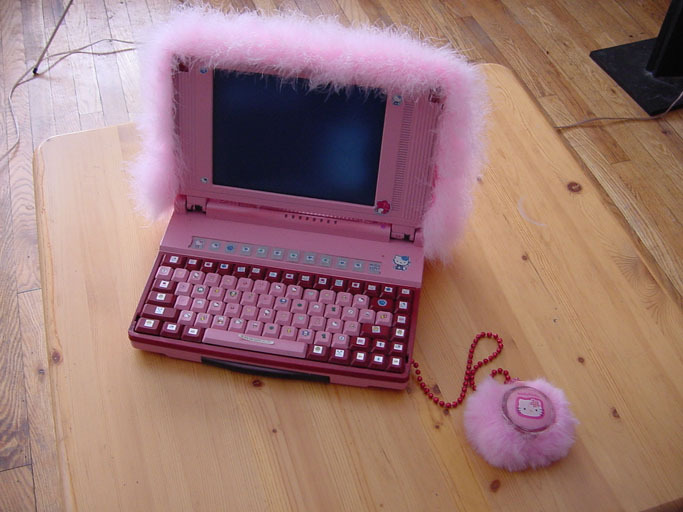 Note that on the linked page, the starting materials include a “broken laptop.” Notice also that the mouse is attached to the computer with a string of plastic beads. Tell your wife to choose something a little less valuable than a laptop to spray paint and glue crap all over. Besides, lovely ready-made HK laptops are available, as we are all aware. 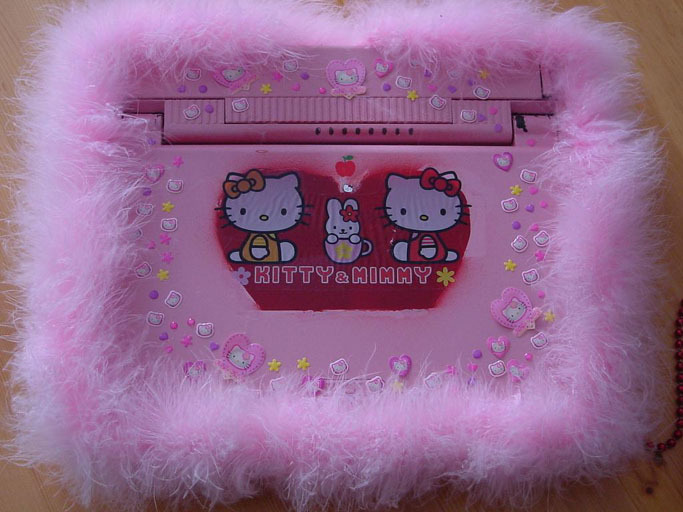 As much as I love Hello Kitty… I love my computer far too much to make it endure that. Good stuff! You don’t know how lucky you are. Whoa… That is some freaky crap…. I love hello kitty yes i do! I am a super hello kitty fan, but might i say that this is just DISGUSTINGLY UGLY….